REtipster provides real estate guidance — not legal advice. The information in this article can be impacted by regional legislation and other unique variables. For the real deal, always consult with a qualified legal professional before taking action. It's interesting to me that when most people hear the phrase “real estate wholesaling”, they automatically default to wholesaling through assignments. Assigning contracts is one method for wholesaling real estate, but it's definitely not the only way to get the job done. In this blog post, I'm going to explain all three methods, and the pros and cons of each. 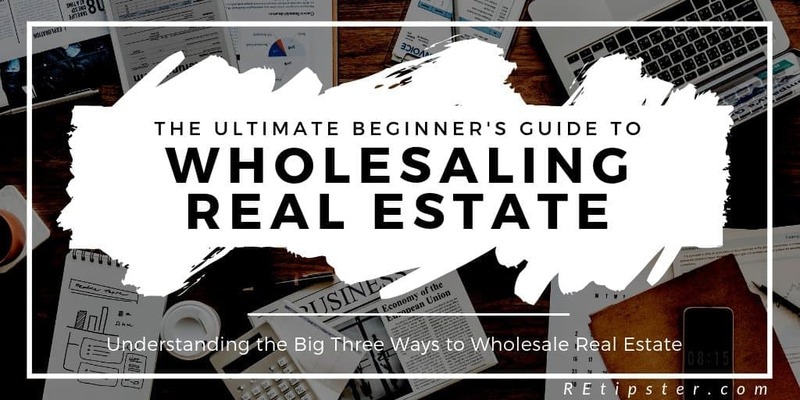 Once you're fully up to speed, come back to this article to read up on how you can get going with your real estate wholesaling strategy. Since this is the most common perceived method of wholesaling real estate, let's start here. Essentially, what is happening in an assignment is that a buyer is selling their rights within a purchase agreement to another buyer. Before we talk about it in regards to wholesaling, however, let's go over an example of a more conventional use of a real estate assignment. Let's say you're an active buy-and-hold investor who purchases several properties a month and only buys properties built on a slab foundation. You know there are great deals that have basements, but you simply don't want to have the extra risk that comes with it (flooding, moisture, etc). Now let's say there is a property that was advertised as not having a basement that you thought was a good deal. You made an offer, it got accepted, and you and the seller signed a purchase agreement. During your due diligence period, however, you discover that this property was falsely advertised and actually had a basement. A) Pull out of the deal. B) Assign the rights to the purchase agreement to another investor (for a fee) who has no problem with basements. If you went with option B, you'd still make some money on the transaction, whereas with option A, you would have completely wasted your time. This is an example of the conventional use of a real estate assignment. Its purpose is to allow a way for a buyer to ethically get out of a deal, based on unforeseen circumstances, while still keeping the seller locked in. Legal Disclaimer: I'm not an attorney and the information here shouldn't be interpreted as legal advice. Be sure to consult with a qualified attorney in your area to make sure you’re acting with the right information that pertains to your situation. Having said all that, one of the crucial aspects of wholesaling through assignments comes down to intent. In order for an assignment to be valid, both parties need to enter the original purchase agreement with an honest intent to close on the property, otherwise, the purchase agreement was never a true purchase agreement, and therefore any attempt to do an assignment would be null and void. We'll come back to this point here in a moment. When you wholesale real estate through assignments, what you're effectively doing is entering into a purchase agreement with a seller, and then turning around and assigning your rights (as the buyer in that purchase agreement) to a different end buyer. 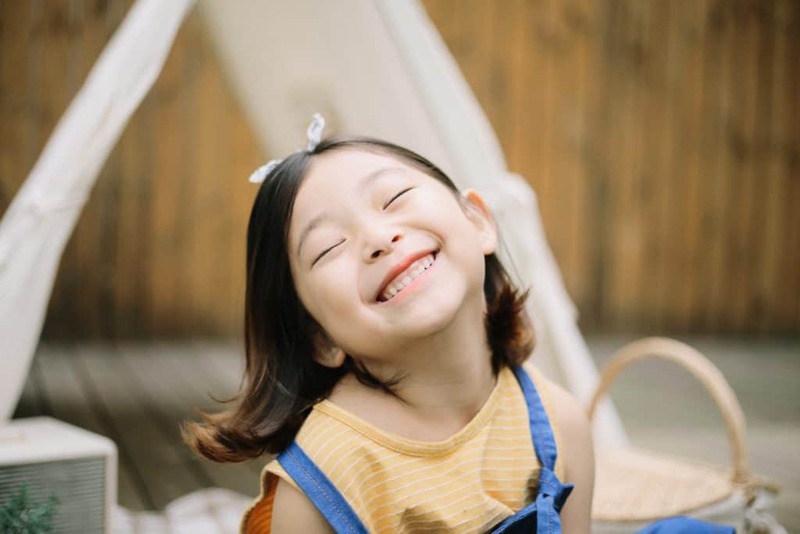 The biggest advantage of this method is that you never have to use any of your own money in the transaction (unless you provide an earnest money deposit, which many wholesalers don't do). This means that as a wholesaler, your only expense in the process is marketing. This is a HUGE deal because you can make thousands of dollars a month with little to no risk. If you can't find an end buyer, you can simply back out of the deal, making this one of the safest real estate businesses to get into. Let's say you go driving for dollars, and send out some postcards to owners of distressed properties. About a week later, one of many property owners will call you and say they want to sell. 1. You have them sign a purchase agreement with a long closing period (you should shoot for a 30-to-45-day minimum in order to have enough time to find a buyer). 2. You email the property information out to your buyer's list and begin marketing it with your assignment fee amount included in the price. So, if the purchase price stated on the original contract is $25,000, you could list it for $32,000. Also, again, I'm not a lawyer, but a common practice many wholesalers do is market the contract for sale and not the property in your advertising language. 3. Once a buyer shows interest, you assist them with getting inside the property and being as helpful as you can while they run their numbers and do their due diligence. 4. They make an offer, and you both negotiate the final price, coming to an agreement. For the sake of this example, we'll say the final price is $30,000. 5. You send the end buyer a copy of the original purchase agreement with an assignment contract. 6. Once it's signed and returned, you send everything to the title company. Note: This part of the process is specific to the State of Indiana (where I've worked as a wholesaler). Depending on what state you're doing business in, your closing process may look very different. 7. At closing, the title company handles the exchange of funds, the completion of all paperwork. When everything is complete, they issue you a check for $5,000! You can easily back out of a deal if you can't find a buyer. You don't have to worry about having the money to buy properties yourself. You can work on several deals simultaneously because of the low risk and barrier to entry. 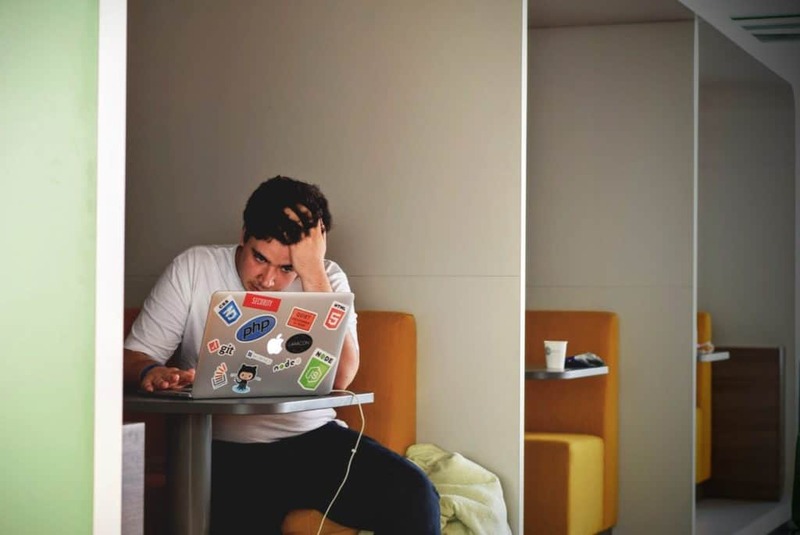 Unfortunately, though, there are also a lot of drawbacks to wholesaling through assignments — so much so that, honestly, this is my least favorite of the three methods. Here are five major problems with wholesaling real estate through assignments. Remember what I mentioned about intent earlier? When you wholesale through assignments, no matter how you slice it, your intent is NOT to purchase the property — it's to assign the original contract to someone else. Given this, one could argue that when you enter into a purchase agreement as a wholesaler (when assigning), it's not a valid purchase agreement, simply because you're intent is not to sell the property. Even if you explicitly include a disclosure within the purchase agreement stating that your intent is to assign… it still might not hold up in court. Again, I am not a lawyer, so don't take my word for it, but this is something you should consider and seek legal advice on. In addition to this, there's another way that wholesaling through assignments may be illegal. It could be interpreted that you're acting as a real estate agent without a license. Think about it… if you swapped out the original purchase agreement and replaced it with a listing agreement, what would be the major differences in your activities as a wholesaler vs. a listing agent? In my professional opinion as a licensed managing broker, not much. In both cases, you are entering into an agreement with the seller, marketing their property for sale and gaining compensation for finding a buyer. The only real difference is that when you're wholesaling, your compensation comes from the buyer (in the form of an assignment fee), whereas when you're acting as an agent, your compensation is coming from the seller (in the form of a commission). Again, I'm in no way, shape, or form a lawyer, but there's certainly an argument to be made that it might be hard to defend against this case in court. Let's say you tie up a property through a purchase agreement and then, after 45 days, you back out of the deal because you couldn't find a buyer – that's not very fair to the seller, is it? This kind of arrangement is a great benefit to the wholesaler because the only costs they incur is the time and money in marketing a property for sale – but if everything falls through, the seller has to start over at square one. Imagine if you were selling a property that had a lot of interested buyers. Then you found someone who agreed to buy it from you, and they sat around for 45 days (without giving you an earnest deposit), and then backed out at the last minute. How would that make you feel? Of course, you can mitigate this issue by clearly communicating your intent from the very beginning. If you don't explain this process clearly to the seller, they're going to get confused (and probably upset). You're not planning to buy their property yourself. You're planning to sell the contract to someone else and then THEY are going to buy it outright. You will communicate with the seller throughout the process, so they always understand what is going on. If you aren't able to find a Buyer, the contract will expire and the transaction won't happen. It's important to explain all the basics, but you'll want to avoid bombarding them with details they frankly don't need to know. Communicating this process with a seller can be a delicate balance because you don't want to confuse them. The average person will just say “No”, simply because they're confused and want to save their pride (even though this arrangement really is in their best interests). “After reviewing the specific details of your property, I'd be happy to market your property information to our nationwide network of real estate investors. For the next # days, we would be willing to invest our time and resources into finding a cash buyer at no cost to you. If we are able to find a buyer, we will coordinate with you and the buyer to schedule a closing and ensure you are paid the full amount listed in this purchase agreement. ASSIGNMENT: Buyer has an unqualified right to assign its rights under this contract to a third-party. No notice to the Seller of an assignment is necessary. Such an assignment will create a novation and release the original Buyer from this contract and substitute the assignee in its place. Reminder: Whatever documentation or language you end up using, you'll want to make sure you're running it by an attorney in your area to make sure it's a valid, legal document that abides by your local, state and federal laws. A lot of wholesalers who do assignments feel like they shouldn't disclose the fact that they are assigning the contract to the seller, for fear that the seller will get confused (see #2, above) or not like the “no guarantee” aspect of the deal and they'll say no. If you try to handle your assignments like this (it's probably illegal by the way), it makes it very difficult to market and show the property. Imagine if the seller sees their property listed on Craigslist for $5,000 above what they're selling it to you for. How do you think that will go over? This is one of the most challenging aspects to overcome when wholesaling through assignments. Whereas, when you simply own a property outright (and thus, don't need anyone's permission to show it), this process becomes much easier. If the seller gets spooked or weirded out while you're looking for a buyer and they can back out of the deal, it can badly damage your reputation… and your reputation is EVERYTHING in real estate! Suppose you have a property assigned to an end buyer, and on the day of closing, the seller changes their mind about the deal. Who is the one that looks bad in the eyes of the buyer? They don't care that it was out of your control! If it keeps happening and seasoned investors start experiencing this repeatedly from you, they'll stop buying because they'll think you're wasting their time. What's even worse is that they'll share their opinion with all their other investor friends. There is nothing worse than being labeled as a “waste of time” by seasoned, well-known buyers! A copy of the original signed Purchase Agreement (which shows the original purchase price). The Assignment Agreement (which shows how much money they're paying above and beyond the original purchase price). If they have a problem with how much money you're making in the deal, they'll have the upper hand in negotiating with you. Sometimes, you can hit a home run and tack on $15,000 – $20,000 to the original purchase price (it doesn't happen every day, but it does happen). If you have to disclose this to your buyer, it might be a hard pill for them to swallow and you might get some pushback. It's a lot cleaner for the end buyer to simply not to know how much money you're making, and you won't have this luxury when you're assigning contracts. In my honest opinion, there are much better ways to wholesale real estate. With all the “grey areas” involved with assigning contracts (legally-speaking), I don't like to risk it. If you absolutely MUST wholesale through assignments, why not become a real estate agent who specializes in connecting distressed property with investors? It's practically the same business model, without all the risk. The major difference is that instead of making money from the seller on a percentage of the sale price (as an agent), you're making money from the buyer through an assignment fee (as a wholesaler). As an agent, you can mitigate this by simply negotiating a flat rate as a commision (e.g. – a $5,000 commission instead of 3% of the sale price). You could also try and structure it so the buyer pays the agent's commission, not the seller. This is unconventional, but if you're working with real estate investors, I don't think you'd have any issues structuring transactions like this because they know what's involved in working with a motivated seller — namely that they can't afford to lose any more money! When we talk about wholesaling real estate through a double close, it's very similar to the process of closing through an assignment — except it has much fewer drawbacks. With a double close, you (as the wholesaler), sell the property to an investor-buyer, and the investor-buyer pays for the transaction between you and the motivated seller. Let's use the same numbers as the example above. Say a property owner agrees to sell for a price of $25,000 and you market it for sale at a price of $32,000. When the buyer agrees to pay $30,000 for it, the main difference is that you send a new purchase agreement to the buyer, between you and them (the original property owner is not listed on this contract). 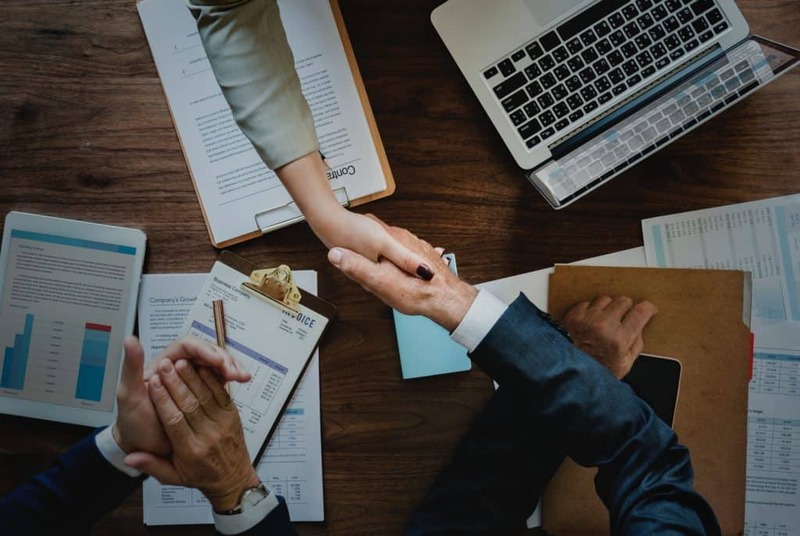 Once this new agreement is signed by you and the new buyer, you send both the purchase agreement between you and the new buyer AND the original purchase agreement between you and the original seller to the title company, so they can process the closing. If you're working with a good title company (one that understands how this type of transaction works), they will schedule both closings to occur back-to-back, on the same day — and this is where we get the name “double closing”. Purchase Agreement #1: Between the original seller and you for $25,000 (A-B). Purchase Agreement #2: Between you and the new buyer for $30,000 (B-C). You send both fully executed purchase agreements to the title company at the same time, and if the title company is investor-friendly (and not all title companies are), they shouldn't have an issue conducting a transaction where they use the funds of the buyer, to pay off the seller AND send the difference to you. So, in our example, when you meet with the buyer first at closing. They will wire (or bring a cashier's check for) $30,000 to fund the deal. Transaction #1 (A-B): The title company uses the #30,000 funds in escrow to issue the seller a check for $25,000. Transaction #2 (B-C): The title company issues a second check for $5,000 and pays this difference to you. Note: When it comes to the closing costs, I've typically seen both purchase agreements structured so that the buyer pays all closing costs for both transactions, with no proration of taxes. Since the end buyer is already getting a great deal, this typically isn't a difficult plan for them to get on board with. One helpful practice is for the wholesaler to provide a disclosure form for the buyer to sign. In this form, the end buyer gives their acknowledgment and consent that the title company will use the funds from their B-C transaction to pay the seller in the A-B transaction. This form will also make the buyer aware that in order to close, they have to wire the funds a day or two before closing, to ensure that everything runs smooth and there are no unnecessary delays on closing day. This disclosure form does not display how much the wholesaler purchased the property for, which is a huge plus! If they act confused, it may take a bit more explanation… but you also may be talking to a title company that won't be able to close these types of transactions. With a double close, you aren't likely to run into the same legal issues (but as you know, I'm not a lawyer, so always check with them and not me). You are actually purchasing the property from the motivated seller. Sure, you may only be the owner for 2 minutes while you're at the closing table, but when you become the actual owner at some point during the process, your intent is true to what the purchase agreement says. And of course, when you sell the property, you're selling a property you actually own, so the issue of functioning as a real estate agent without a license isn't nearly as strong of a case. I'm always going to encourage all wholesalers to get their real estate license because if our legitimate occupation is the buying and selling of real estate, it will only help and not harm us. You still won't have to use any of your own cash to acquire the property. If you can't find a buyer, you can back out of the deal with very little damage (as long as you set up your purchase agreement correctly). You can build up to doing a lot of deals quickly. Unlike assignments, you have the added benefit of never having to disclose what you make to the investor-buyer. You can make $5,000, $10,000, or even $100,000, and the buyer will never know. This keeps things a lot cleaner and gives a neutral ground for negotiations. Even though using a double close is a fantastic way to wholesale real estate, there are still some flaws with this method. Just like with assignments, in you're doing a double close and not putting down an earnest deposit, the seller can back out and ruin the deal. If you tend to have deals fall-through last minute, the issue of your reputation staying intact can still be a major concern with this method. Real estate is a people-based business, and what people think about you, to some degree, actually does matter. Being a person of your word, closing on time, being honest — it's all a crucial part of being successful in business. “Mr. Seller, what I do in my business is create win-win's between sellers and investors. I work with many investors who go in on the purchase with me, if the property matches their investment criteria. Now, with this purchase agreement, I'm going need some time in order to find the right investor to work with me on the purchase — it will be all cash and normally I find an investor quick and we close in a couple of weeks, but just to be safe, I'll need about 45 day window. This way, when they agree, they understand that there is another party in the equation and they'll be less likely to get spooked. Again, if you tie-up a person's property for 45 days (or longer) and then back out of the deal (or worse, your buyer backs out), it can be really unfortunate for the seller. Whenever the top wholesalers I knew in Indianapolis did an assignment or a double close, they always made sure to have the cash in reserve to proceed with the closing, even if the buyer backed out. Seller's talk too, and you need to have as good of a reputation in your market as possible… if for no other reason, so you can get referrals and good reviews online. A big disclaimer: Double closings may not be legal in every market. I encourage you to sit down with a local attorney to discuss the unique process and paperwork needed to do this legally and ethically where you do business. Another excellent source for finding an investor-friendly title company (or the local method used for double-closings in your area) would be attending a real estate investor networking event of some kind. Meetup.com is a great choice, as are local REIA groups. One of the most critical aspects of the double close is timing the closings back-to-back. Sometimes, the title company will work with you and be comfortable doing it a few hours apart, but to coordinate with three separate parties, and the availability of the title company, all in the same day. It can be a big challenge! The final method to conduct business as a real estate wholesaler is to simply buy a property, close on it, then market it for sale. This was our strategy at Simple Wholesaling because it gave us the most control. This method requires a lot of working capital (i.e. – cash) on hand, but it gives you the most security by far. If there is a seller that agrees to sell their property for $25,000, with a traditional close, you'd simply need to have the cash to close on it yourself, and then turn around and market it for sale at $32,000. Once you had the buyer at $30,000, you would merely close a second time, 100% independent from the original transaction with the original seller. When you buy a property and close it the traditional way, it's your property, so you can literally do whatever you want with it. You can show it anytime. No one can accuse you of breaking the law for selling your own property. You never have to worry about the buyer knowing much you paid for it – it's literally the best case scenario, except for the two big drawbacks. With a traditional close, you actually get all the benefits of doing an assignment and/or a double close, with none of the drawbacks except for two important details. If you don't have access to the cash you'll need to buy a property and close quickly, wholesaling through a traditional close is going to be difficult (if not impossible) to execute on a consistent basis. For this reason, some wholesalers will start their business by wholesaling through assignments or through double closings, and once they build up enough cash, they'll be able to start closing traditionally (which irons out a lot of wrinkles in the process). This issue boils down to your own due diligence and experience. When you do the appropriate homework on the property (understanding what it's likely to sell for to another investor, any major issues or “gotchas” that may come up in the process, knowing how long it will take to sell in your current market conditions, etc) and you understand how much risk you're taking on with each deal, this problem will become less and less of an issue, but even so – this method is very unforgiving. If you make a bad purchase, you'll have to pay the price for making the wrong decision. One of the ways you can get around the funding issue is by enlisting the help of private money lenders. There are investors, who, as an investment strategy, fund real estate businesses in exchange for a high-interest rate (8-15%). If you get a couple of deals under your belt, it's not that difficult to find a private money lender to work with you. It could be a friend or relative, or a professional conducting private loans in your market. 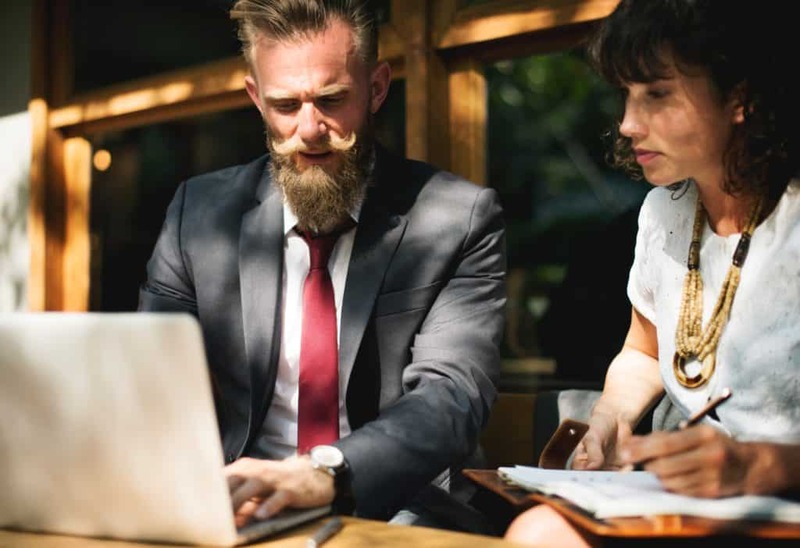 There are ways you can even coach your friends and family to use their IRAs for this purpose by making it self-directed (I am not a CPA, so make sure you double-check what I'm saying here with a tax professional). In terms of buying a bad deal, the only way to offset this is by being conservative and really knowing how to run your numbers. In part 3 of this blog series, I'm going to dive deep into the details of exactly how to do this. In the next portion of this series, I'll be covering Acquisitions, where I'll show you exactly what metrics you need in order to calculate returns as well as how to get deals and talk to motivated sellers. 015: Maggie Found Early Success With House Wholesaling – How Did She Do It?? Jaren – Great wholesaling series! I like how you’ve covered the pros and cons of each strategy. Thanks for posting this article. I’ve had a hard time getting information on this topic and it has been a struggle. Thanks for making it clear to me. Finally. I’m glad to hear it Brian! Thanks for reading.